It was just before noon in Moscow on March 10, 2016, when the first volley of malicious messages hit the Hillary Clinton campaign. The first 29 phishing emails were almost all misfires. Addressed to people who worked for Clinton during her first presidential run, the messages bounced back untouched. Within nine days, some of the campaign’s most consequential secrets would be in the hackers’ hands, part of a massive operation aimed at vacuuming up millions of messages from thousands of inboxes across the world. An Associated Press investigation into the digital break-ins that disrupted the U.S. presidential contest has sketched out an anatomy of the hack that led to months of damaging disclosures about the Democratic Party’s nominee. It wasn’t just a few aides that the hackers went after; it was an all-out blitz across the Democratic Party. They tried to compromise Clinton’s inner circle and more than 130 party employees, supporters and contractors. The AP’s reconstruction— based on a database of 19,000 malicious links recently shared by cybersecurity firm Secureworks — shows how the hackers worked their way around the Clinton campaign’s top-of-the-line digital security to steal chairman John Podesta’s emails in March 2016. It also helps explain how a Russian-linked intermediary could boast to a Trump policy adviser, a month later, that the Kremlin had “thousands of emails” worth of dirt on Clinton. The rogue messages that first flew across the internet March 10 were dressed up to look like they came from Google, the company that provided the Clinton campaign’s email infrastructure. The messages urged users to boost their security or change their passwords while in fact steering them toward decoy websites designed to collect their credentials. One of the first people targeted was Rahul Sreenivasan, who had worked as a Clinton organizer in Texas in 2008 — his first paid job in politics. Sreenivasan, now a legislative staffer in Austin, was dumbfounded when told by the AP that hackers had tried to break into his 2008 email — an address he said had been dead for nearly a decade. This image shows a portion of a phishing email sent to a Hillary Clinton campaign official on March 19, 2016. “They probably crawled the internet for this stuff,” he said. Almost everyone else targeted in the initial wave was, like Sreenivasan, a 2008 staffer whose defunct email address had somehow lingered online. But one email made its way to the account of another staffer who’d worked for Clinton in 2008 and joined again in 2016, the AP found. It’s possible the hackers broke in and stole her contacts; the data shows the phishing links sent to her were clicked several times. Secureworks’ data reveals when phishing links were created and indicates whether they were clicked. But it doesn’t show whether people entered their passwords. 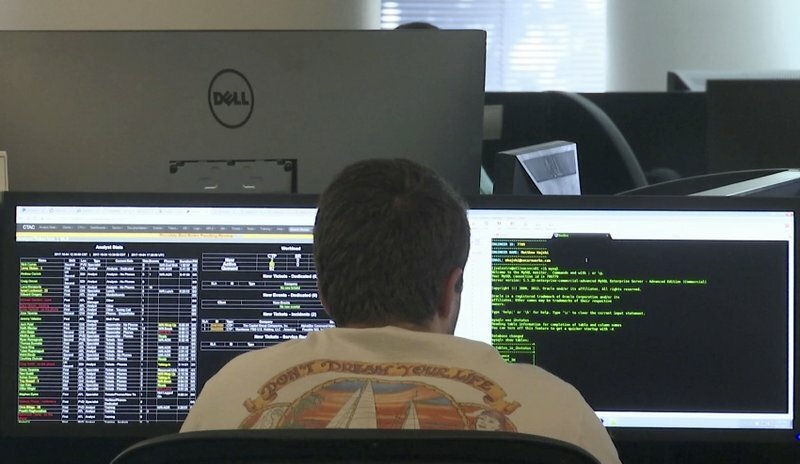 Within hours of a second volley emailed March 11, the hackers hit pay dirt. All of a sudden, they were sending links aimed at senior Clinton officials’ nonpublic 2016 addresses, including those belonging to longtime Clinton aide Robert Russo and campaign chairman John Podesta. 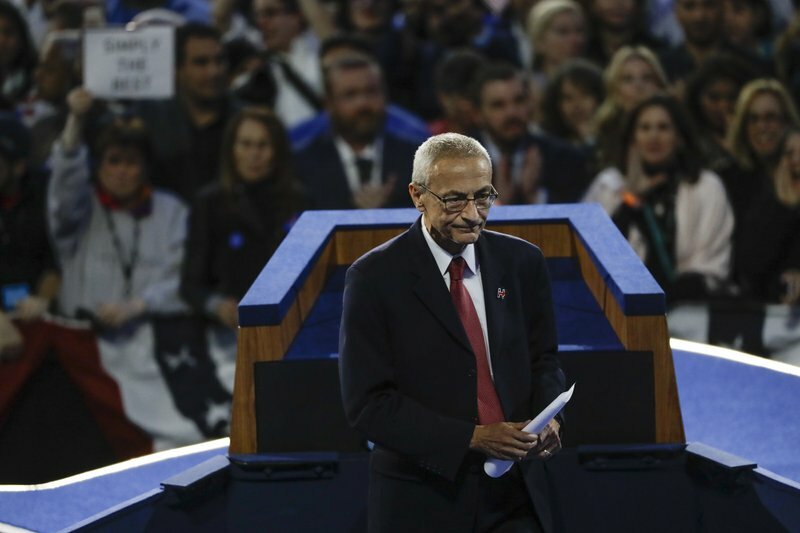 John Podesta, Hillary Clinton campaign chairman, walks off the stage after announcing that Clinton will not be making an appearance at Jacob Javits Center in New York as the votes were still being counted on Nov. 9, 2016. The Clinton campaign was no easy target; several former employees said the organization put particular stress on digital safety. 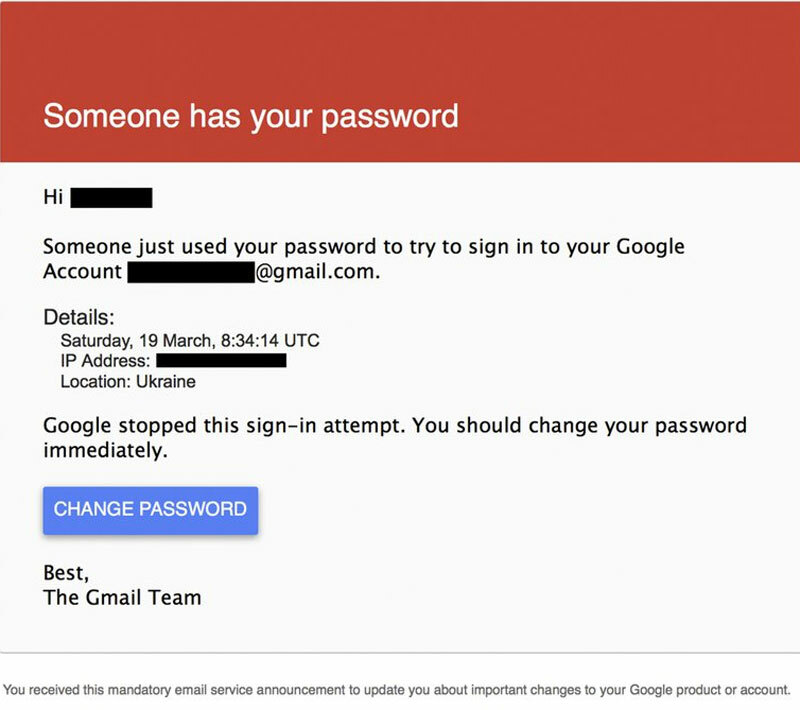 Two-factor authentication may have slowed the hackers, but it didn’t stop them. After repeated attempts to break into various staffers’ hillaryclinton.com accounts, the hackers turned to the personal Gmail addresses. It was there on March 19 that they targeted top Clinton lieutenants — including campaign manager Robby Mook, senior adviser Jake Sullivan and political fixer Philippe Reines. A malicious link was generated for Podesta at 11:28 a.m. Moscow time, the AP found. Documents subsequently published by WikiLeaks show that the rogue email arrived in his inbox six minutes later. The link was clicked twice. Podesta’s messages — at least 50,000 of them — were in the hackers’ hands. Though the heart of the campaign was now compromised, the hacking efforts continued. Three new volleys of malicious messages were generated on the 22nd, 23rd and 25th of March, targeting communications director Jennifer Palmieri and Clinton confidante Huma Abedin, among others. The torrent of phishing emails caught the attention of the FBI, which had spent the previous six months urging the Democratic National Committee in Washington to raise its shield against suspected Russian hacking. 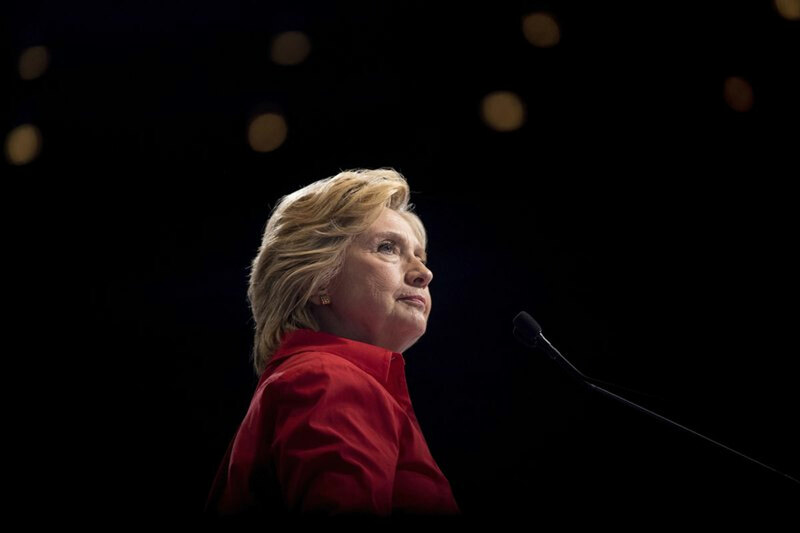 In late March, FBI agents paid a visit to Clinton’s Brooklyn headquarters, where they were received warily, given the agency’s investigation into the candidate’s use of a private email server while secretary of state. The phishing messages also caught the attention of Secureworks, a subsidiary of Dell Technologies, which had been following Fancy Bear, whom Secureworks codenamed Iron Twilight. Fancy Bear had made a critical mistake. It fumbled a setting in the Bitly link-shortening service that it was using to sneak its emails past Google’s spam filter. The blunder exposed whom they were targeting. It was late March when Secureworks discovered the hackers were going after Democrats. “As soon as we started seeing some of those hillaryclinton.com email addresses coming through, the DNC email addresses, we realized it’s going to be an interesting twist to this,” said Rafe Pilling, a senior security researcher with Secureworks. By early April Fancy Bear was getting increasingly aggressive, the AP found. More than 60 bogus emails were prepared for Clinton campaign and DNC staffers on April 6 alone, and the hackers began hunting for Democrats beyond New York and Washington, targeting the digital communications director for Pennsylvania Gov. Tom Wolf and a deputy director in the office of Chicago Mayor Rahm Emanuel. The group’s hackers seemed particularly interested in Democratic officials working on voter registration issues: Pratt Wiley, the DNC’s then-director of voter protection, had been targeted as far back as October 2015 and the hackers tried to pry open his inbox as many as 15 times over six months. Employees at several organizations connected to the Democrats were targeted, including the Clinton Foundation, the Center for American Progress, technology provider NGP VAN, campaign strategy firm 270 Strategies, and partisan news outlet Shareblue Media. As the hacking intensified, other elements swung into place. On April 12, 2016, someone paid $37 worth of bitcoin to the Romanian web hosting company THCServers.com , to reserve a website called Electionleaks.com, according to transaction records obtained by AP. A botched registration meant the site never got off the ground, but the records show THC received a nearly identical payment a week later to create DCLeaks.com. By the second half of April, the DNC’s senior leadership was beginning to realize something was amiss. One DNC consultant, Alexandra Chalupa, received an April 20 warning from Yahoo saying her account was under threat from state-sponsored hackers, according to a screengrab she circulated among colleagues. The Trump campaign had gotten a whiff of Clinton email hacking, too. According to recently unsealed court documents, former Trump foreign policy adviser George Papadopoulos said that it was at an April 26 meeting at a London hotel that he was told by a professor closely connected to the Russian government that the Kremlin had obtained compromising information about Clinton. A few days later, Amy Dacey, then the DNC chief executive, got an urgent call. There’d been a serious breach at the DNC. Guccifer 2.0 acted as a kind of master of ceremonies during the summer of leaks, proclaiming that the DNC’s stolen documents were in WikiLeaks’ hands, publishing a selection of the material himself and constantly chatting up journalists over Twitter in a bid to keep the story in the press. He appeared particularly excited to hear on June 24 that his leaks had sparked a lawsuit against the DNC by disgruntled supporters of Clinton rival Bernie Sanders. “Can it influence the election in any how?” he asked a journalist with Russia’s Sputnik News, in uneven English. Later that month Guccifer 2.0 began directing reporters to the newly launched DCLeaks site, which was also dribbling out stolen material on Democrats. When WikiLeaks joined the fray on July 22 with its own disclosures the leaks metastasized into a crisis, triggering intraparty feuding that forced the resignation of the DNC’s chairwoman and drew angry protests at the Democratic National Convention. Guccifer 2.0, WikiLeaks and DCLeaks ultimately published more than 150,000 emails stolen from more than a dozen Democrats, according to an AP count. The AP has since found that each of one of those Democrats had previously been targeted by Fancy Bear, either at their personal Gmail addresses or via the DNC, a finding established by running targets’ emails against the Secureworks’ list. All three leak-branded sites have distanced themselves from Moscow. DCLeaks claimed to be run by American hacktivists. WikiLeaks said Russia wasn’t its source. Guccifer 2.0 claimed to be Romanian. But there were signs of dishonesty from the start. The first document Guccifer 2.0 published on June 15 came not from the DNC as advertised but from Podesta’s inbox, according to a former DNC official who spoke on condition of anonymity because he was not authorized to speak to the press. The official said the word “CONFIDENTIAL” was not in the original document. Guccifer 2.0 had airbrushed it to catch reporters’ attention. To hear the defeated candidate tell it, there’s no doubt the leaks helped swing the election. It’s clear Clinton’s campaign was profoundly destabilized by the sudden exposures that regularly radiated from every hacked inbox. It wasn’t just her arch-sounding speeches to Wall Street executives or the exposure of political machinations but also the brutal stripping of so many staffers’ privacy. “It felt like your friend had just been robbed, but it wasn’t just one friend, it was all your friends at the same time by the same criminal,” said Jesse Ferguson, a former Clinton spokesman. An atmosphere of dread settled over the Democrats as the disclosures continued. One staffer described walking through the DNC’s office in Washington to find employees scrolling through articles about Putin and Russia. Another said she began looking over her shoulder when returning from Clinton headquarters in Brooklyn after sundown. Some feared they were being watched; a car break-in, a strange woman found lurking in a backyard late at night and even a snake spotted on the grounds of the DNC all fed an undercurrent of fear. On Oct. 7, it was Podesta. The day began badly, with Hillary Clinton’s phone buzzing with crank messages after its number was exposed in a leak from the day before. The number had to be changed immediately; a former campaign official said that Abedin, Clinton’s confidante, had to call staffers one at a time with Clinton’s new contact information because no one dared put it in an email. The same afternoon, just as the American electorate was digesting a lewd audio tape of Trump boasting about sexually assaulting women, WikiLeaks began publishing the emails stolen from Podesta. The publications sparked a media stampede as they were doled out one batch at a time, with many news organizations tasking reporters with scrolling through the thousands of emails being released in tranches. At the AP alone, as many as 30 journalists were assigned, at various times, to go through the material. Guccifer 2.0 told one reporter he was thrilled that WikiLeaks had finally followed through. “Together with Assange we’ll make america great again,” he wrote. Donn reported from Plymouth, Massachusetts. Desmond Butler, Ted Bridis, Julie Pace and Ken Thomas in Washington, Justin Myers in Chicago, Frank Bajak in Houston, Lori Hinnant in Paris, Maggie Michael in Cairo, Erika Kinetz in Shanghai and Vadim Ghirda in Bucharest, Romania contributed to this report. How Russians Hacked the Democrats’ Emails. Go through An Associated Press investigation into the digital break-ins that disrupted U.S. presidential contest.